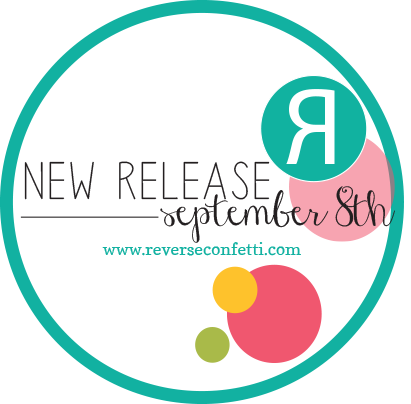 Welcome to the Day 2 Reverse Confetti Countdown September Release. All products will be available for purchase on September 8th. We love a good sentiments on our projects. This set is perfect for any occasions.... many uses on this set. I did a male card with this set...not may in my stash I am sad to say. To begin I first splatter the card base with brown ink and let it dry. Next, I adhere the woodgrain pattern paper that I been hoarding for a long time. Then, I added the white and black die-cut from Pretty Panels: Triangle Confetti Cuts. Next, I embossed the sentiment in gold on vellum, fussy cut and adhere on the card. Lastly, I added some Pretty Pink Posh sequins in Gold and Green Moss to finish off the card. 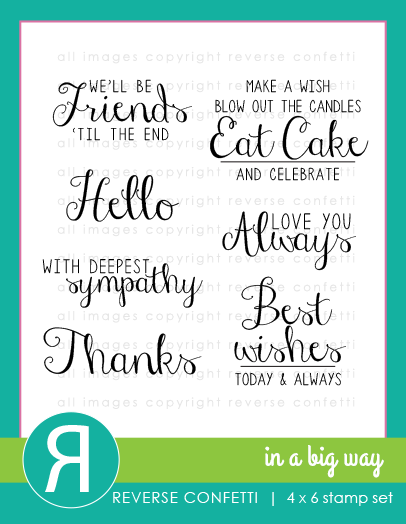 LOVE your ELEGANT design and pretty layers, LOVE your golden sentiment on the vellum and LOVE your triangle die cuts, the little windows in the black layer are fun, especially with the confetti bits still in place on your white layer!!! Gorgeous. The green sequins set it all off perfectly. Love the gold, the splatter and the sequins. So pretty, vellum looks awesome ! So gorgeous! I loveeeee the colors!!!! so pretty Joni...love the pops of green! Such an elegant card. Love the neutrals. Such a great card! Love all the die cuts! Love the splatter and embossing! I like the layers, the wood grain and the splatters. Great card! Love the ink splatters and fabulous design! Love those triangles - such a versatile die cut! Gorgeous card! I just love the touches of gold on the background and that fantastic embossed image on the vellum panel! loving the splatter and sequins! The splatter is fabulous Joni! Your card is so elegant...love the splatter and the colors! Beautiful card - love the splatters and the pop of greens! Cute card - love the gold embossing. Beautiful card and love how you used the triangle die!! Beautiful how you layered the dies and added the fussy cut sentiment. Lovely card Joni! The new panel dies look like a fun die to own. Awesome layering on your card! 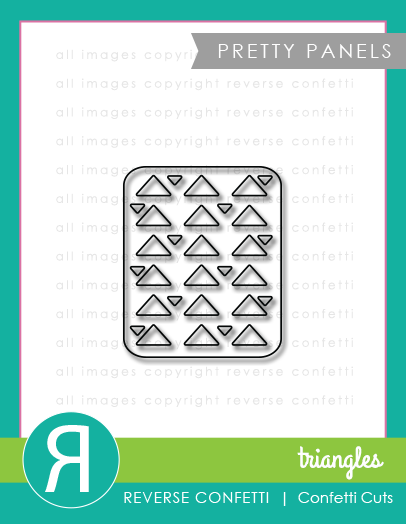 Love the triangles die and that fabulous sentiment set! Great fonts! What an awesome retro card Joni. Love the triangle cuts.